August 10th is National S’mores Day. As if you needed any more encouragement to eat more chocolate and marshmallows, August 10th 2016 is designated as National S’mores day. This fantastic BBQ and Campfire delicacy is almost an American institution and has spun off into many variations with inclusions of Fudge and Peanut butter, but as with most things the original is by far the best. 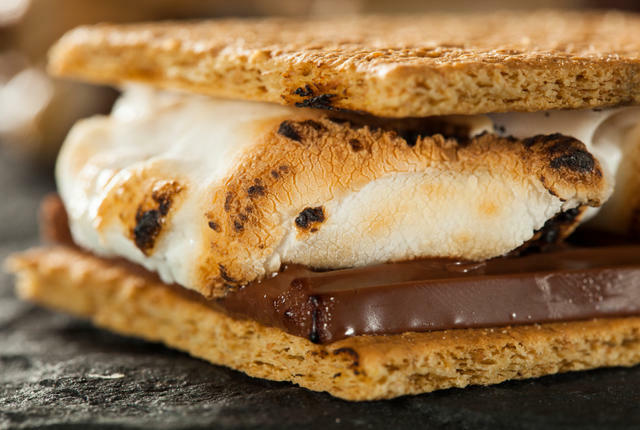 I cannot believe that there is any American who has not heard of S’mores, but just in case a S’more is a delicious treat made from three simple ingredients, two pieces of Graham Cracker, Toasted Marshmallow and a melted Chocolate bar, all squished together in a kind of gooey sandwich. The first recipe was attributed to the Girl Scouts Handbook back in 1927 but it is believed people were S’moring long before that event. There are over 1,200 national days. This is not one to miss!